One of the many daunting challenges parents face is Christmas Present Shopping. All the choices. The different prices. What’s hot, what’s not. And what your children actually want for Christmas. And that’s just TOYS! But as you may know, tech toys–especially tablets–are one of the HOT items this holiday season. And like toys, tablets come in so many varieties and configurations that, if you are not up on the latest-and-greatest in tech land, you can get lost in the swarm. Luckily, we are here today to discuss tablet shopping for the kids. Who will primarily use this tablet? In this scenario, we are assuming you are buying for your child, but there’s nothing that says it has to be their tablet only. Much like the home computer that is shared among family members, you could have a tablet that is shared amongst everyone. This question alone can determine which way to go. If the tablet is for the child only, there are a slew of Android-based (Google’s operating software) tablets that are customized to make them kid-friendly, mommy and daddy approved. Meaning, they are restricted from access to ALL the apps in the app store with limited (or no) access to the internet. Instead, they are pre-loaded with pre-approved (by you) educational apps and games. 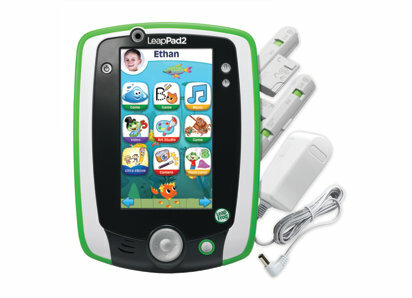 Tablets that fall into this category include the Nabi 2 and Nabi Jr, the LeapPad, and the VTech InnoTab. There are more kid-only tablets out there, but these are the HOT ones this season! If you are looking for something shared, tablets like the Samsung Galaxy Tab 3 Kids and the Amazon Kindle Fire should do the trick. In this situation, there is a bit of a learning curve for how to switch from “kid-mode” to “adult mode” to do everything you want to do, and vice versa. What’s pretty cool about the Kindle Fire is Amazon’s content option, called Kindle FreeTime Unlimited, which offers unlimited access to all of its kid-friendly books, apps, and games on a subscription basis starting at $4.99 (or $2.99 if you are a Prime Member). Outside of the kid-friendly tablets, you do have traditional offerings. You can always buy a general Android, Windows 8, or Apple iPad tablet. Going this route can be trickier in terms of securing your tablet so as to prevent your child from accessing areas they are not supposed to be in. Or in the case of one family, pushing buttons and racking up a LARGE app bill on the parent’s bank account. This is not to say an iPad or Android tablet is not safe (we here at Little eLit are big iPad users!). You will just need to spend some time learning how to adjust the appropriate controls in each device to suit your family’s needs. Also, having a full-fledged tablet grants you access to ALL of the content in the app store, so really it grows with the child as they move on to more age-appropriate apps. The Drop Test (and sticky finger test, and the Poke-the-screen-with-hard-toy test…) Basically, is the tablet you are purchasing durable enough for your children and the way they play? All this is typically what I recommend to parents asking about tablets for their kids. There are a handful of articles out there that discuss all these topics and even go into details about the tablets, so instead of reinventing the wheel, I will just link you to two similar articles HERE and HERE. Also, if you live near a store such as a Best Buy or Micro Center, take an hour to go and test out each of their demo tablets. Pick them up. Look at the screen from all angles to see if it has a good screen. Feel the weight. Push buttons. Ask the sales rep questions. Let your kids try it too if they are with you! See how easy (or hard) it is for them to interact with the tablet. If you don’t live near those kinds of stores, check your local library to see if they have a tech kit that serves this need, or ask a family member or friendly neighbor if they would be willing to let you test drive their device. Whichever tablet you choose, make sure to make it a learning experience for both you and your children together as you explore the wonderful world of the tablet frontier. Posted on December 18, 2013, in Android, iPad and tagged Stephen Tafoya. Bookmark the permalink. 2 Comments. Excellent tips, Stephen. I’ll also add a little warning about uber-cheap Android tablets. We found one for $70 at Big Lots and bought it thinking we’d worry less about letting our kids use it because of the cost. But the touch screen is so poor that it’s really difficult to use (for kids or adults). I’ve seen the same thing with other bargain Android tablets as well. So don’t buy one unless you have the opportunity to try a demo model first! Always try out the demo tablet if you can, pick it up and look at it from all angles. That is often the trade-off in price for android tablets : lower price = bad screen! I always warn potential buyers of those Black Friday tablet deals too. Some cheaper tablets won’t have the greatest memory or processor, meaning laggy graphics on some games.